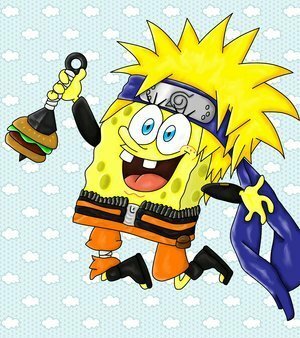 Spongebob Shippuden. Man,i'm narutarded.XD.Soooooooooo,if u like this,b my fan.......Spongebob Ninjapants says so :p. Wallpaper and background images in the Spongebob Squarepants club tagged: spongebob naruto cosplay. Maybe i'm new here but i smell person not liking NARUTO so if sombody don't like him he can just get out of this site.